Avaliable every Wednesday for Dinner. 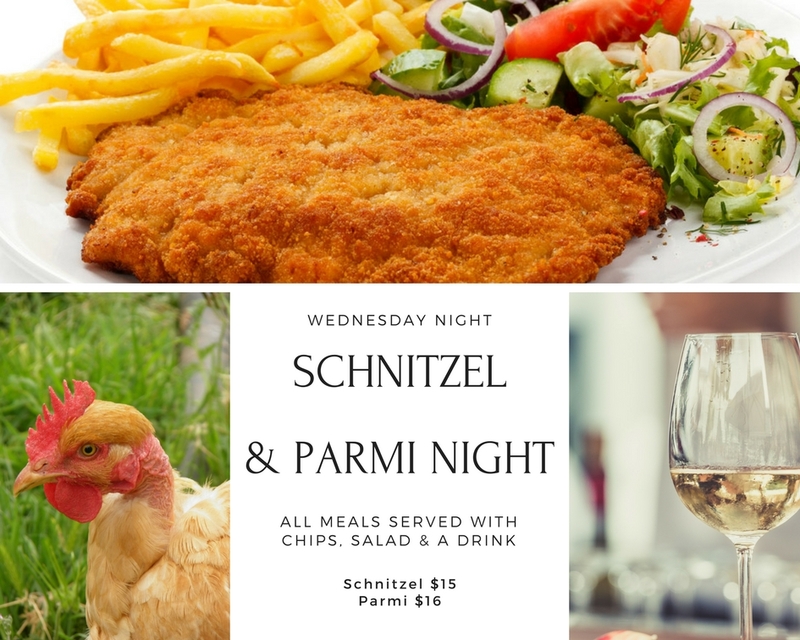 Parmi $16 - check out the specials board for chefs creations! All schnitzels come with chips, salad and your choice of gravy. Plus a complimentary schooner of tap beer, glass of house wine or glass of soft drink.